On Sunday, August 28, 2016 I preached a sermon at Wildwood Community Church. 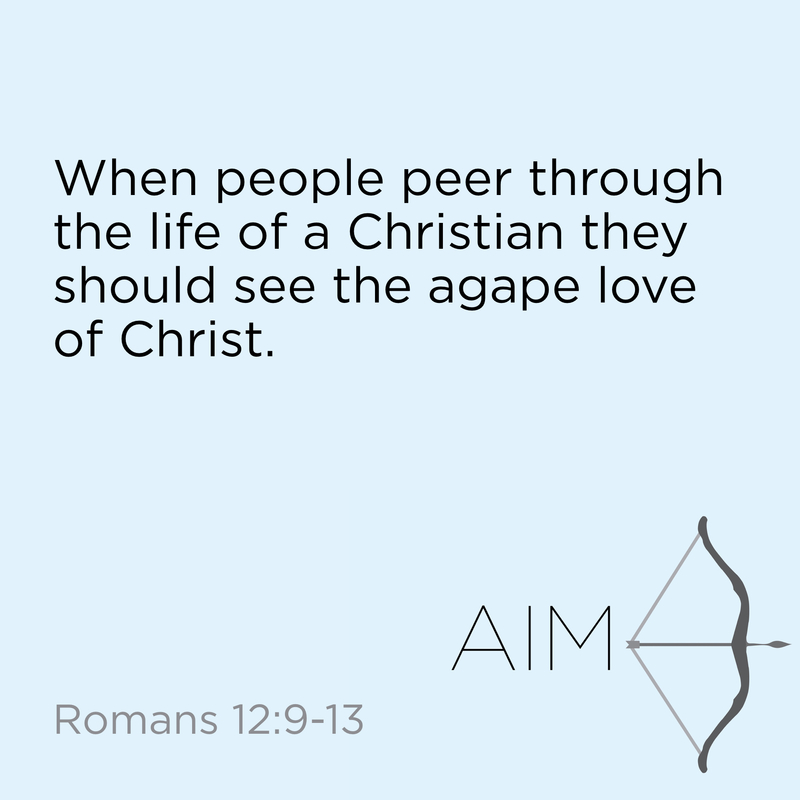 This message was part 3 of the “Aim” series and was based on Romans 12:9-13. Below you will find questions related to the message for further reflection or group discussion. In your opinion, what is the difference between a love that is full of hypocrisy and a love that is genuine? Has your experience in churches contained a “family kind of feeling/love”? Why or why not? Have you lost any zeal in serving the Lord? What can you do to rekindle the flame and joy of serving the Lord? Prayerfully consider if there are any opportunities the Lord is giving you right now to share some of your time, money, etc. with another. To access a copy of these questions in pdf format, click here.